The singer does not feel “sufficiently confident” to play live. 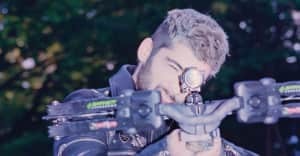 Zayn Malik's concert in Dubai this October will no longer go ahead as the singer says he is "not sufficiently confident" to perform. Zayn was due to headline the Autism Rocks Arena on October 7. All ticket holders will be refunded. Concert promoter 117 Live announced the news and issued a statement from Zayn, in which he explained the decision. "I have been working over the last three months to overcome my extreme anxiety around major live solo performances," he said. "I feel I am making progress but I have today acknowledged that I do not feel sufficiently confident to move forward with the planned show in Dubai in October." Zayn pulled out of a London concert in June, again citing his anxiety for cancelling the show.